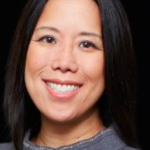 Christine Park is at her core a writer and story-teller who found the ideal connection to healthcare through simulation-based education. Currently the President of the Society for Simulation in Healthcare, she is interested in exploring the why and how of leadership worldwide, dynamic decision-making, and communication. Her research interests include cognitive bias in education and maintenance of competence in practice.